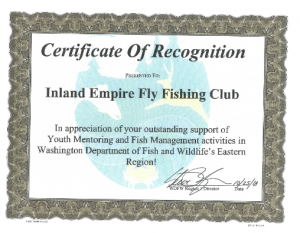 The Washington Department of Fish and Wildlife recently awarded our club with a Certificate of Recognition for our contributions to the WDFW mission. It is nice to receive this recognition and know that our efforts are worthwhile. 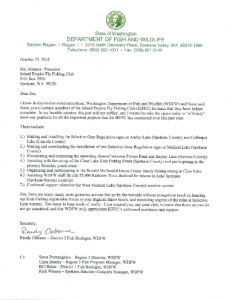 We will continue to work hard with our partners in preserving our fisheries and providing education to those who use these resources.